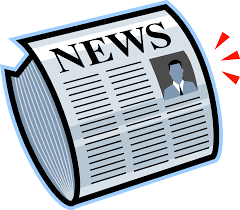 I have several announcements to share with you this week! After many years of advocating for relief, the East Hartford delegation secured an additional $915,000 for the Board of Education in the new state budget approved last month. The financial relief will help the Board and Town because of its inordinate percentage of students attending magnet schools outside of East Hartford. To read more about how this funding will help East Hartford, click here. On Memorial Day, I attended South Windsor's Veterans Memorial Wall dedication. This wall represents a community that has fought for our freedom and supported our veterans, both past and present. After the dedication, the Patriotic Commission presented me with this coin to symbolize my commitment towards helping veterans and the Town of South Windsor. Thank you to Commission members, town leaders, residents and contractors who all generously donated their time, energy and money to complete this project. On Wednesday, I met with South Windsor Concrete Committee along with the Commissioner of Insurance Katherine Wade, and the Commissioner of Department of Consumer Protection for a question and answer session with committee members. Wade said that her department only received a handful of complaints and I would once again like to encourage residents to report any concrete foundations issues to the DCP. A state investigation is trying to determine, besides the mineral pyrrhotite, what else might possibly be causing this issue. The results are expected in the fall. To read more about this meeting, click here. 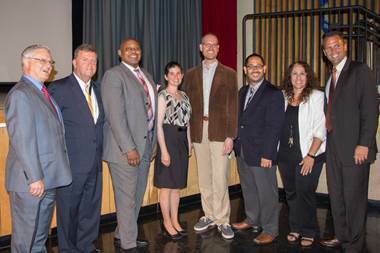 Also on Wednesday, I attended the Manchester Public Schools' Education Summit where administrators and educators gathered to learn about and experience how the district is reshaping Manchester's schools to most effectively ready the town's young people for college, career and citizenship. I would like to applaud the efforts of Superintendent Geary and Scott Ratchford, Director of Family and Community Engagement, for taking time to ensure that the district's development is an inclusive one for all interested stakeholders. 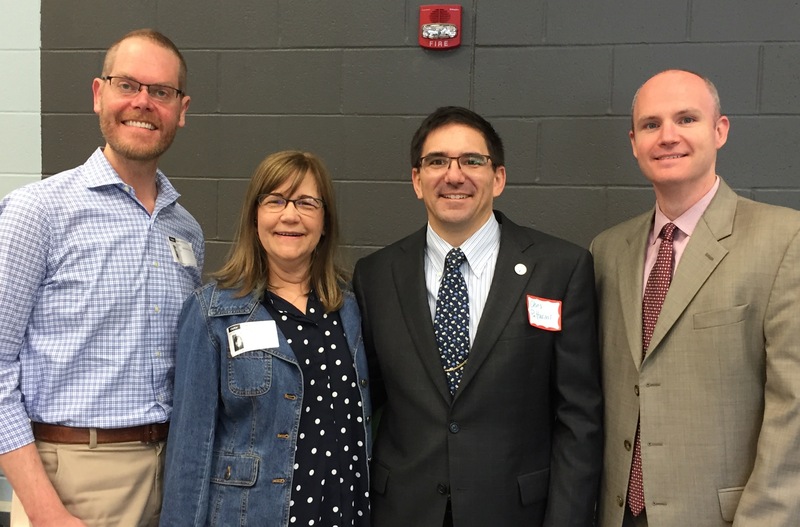 Here I am with Ambassador to Manchester Public Schools Stephanie Knybel, Manchester Board of Education Chairman Chris Pattacini and Manchester School Superintendent Matt Geary. Later that day, I had the opportunity to meet penguins from the Beardsley Zoo, one of Connecticut's tourism gems. 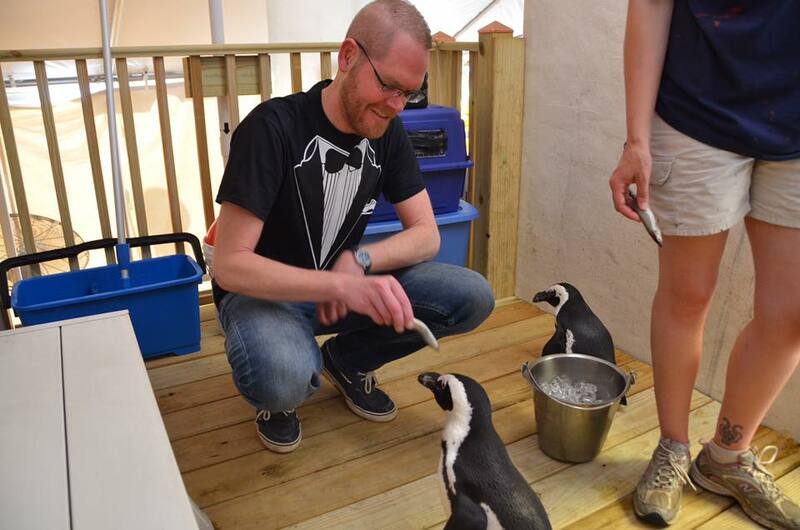 Recently, four penguins--Tubbs, Sal, South, and Squirt--moved into their new home at the zoo for the much anticipated Penguin Plaza exhibit. The zoo is taking part in a Saving Animals from Extinction (SAFE) conservation project benefiting the penguins through the Association of Zoos & Aquariums (AZA). The birds will splash and play in their new exhibit until Sept. 30! For more information about the zoo and other places in Connecticut to visit for summer fun, click here. Not wanting them to feel overdressed, I was sure to come prepared. 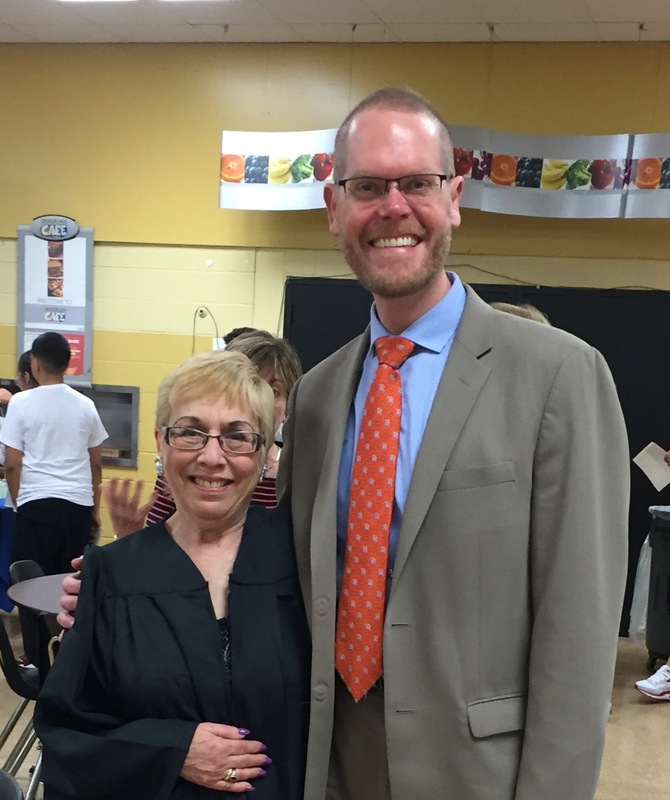 On Thursday, I attended the East Hartford Adult and Continuing Education graduation. The school's mission is to provide access to lifelong learning experiences to all adults in the community. Congratulations to all the graduates, who ranged in age from 18 to 88! Here I stand with Carol Enes, who is the GED and Credit Diploma Program Coordinator at the school. Today, the East Hartford delegation presented a certificate of recognition to East Hartford Middle School for their participation in JASON Learning’s STEM Curriculum for their sixth and seventh grade science classes. JASON Learning is a non-profit organization that connects students to scientists and engineers to inspire and motivate them to study and pursue careers in science, technology, engineering and math. These (STEM) role models share their real work experiences with students via live, interactive webcast series. EH Delegation presents official General Assembly citation to educators. Later in the day, I attended the Woodland High School's graduation. Congratulations to all the graduates and their families! I’m sure today will be only the first of many proud, successful moments for you all! 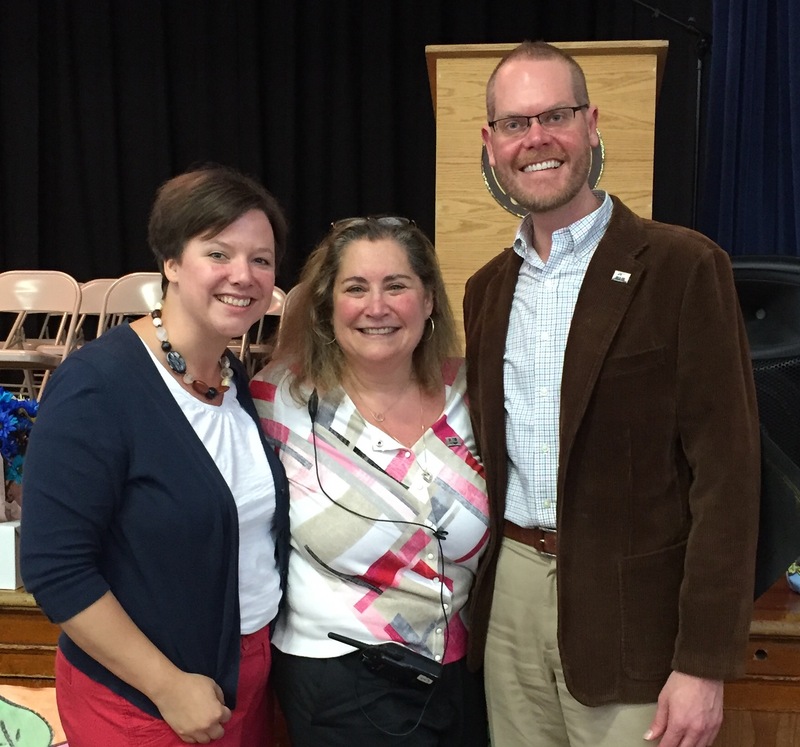 Board of Education member Valerie Scheer, Woodland Principal Helene Marchese. On Tuesday, June 7, the East Hartford Department of Youth Services and the Hartford Judicial District’s Local Interagency Service Team (LIST) will host, Safeguarding our Youths’ Future, a community conversation on youth engagement and empowerment. The organizers will present policy recommendations and hear feedback and ideas from the community. Registration is requested; there will be free dinner and door prizes. For more info and to register, contact Cephus Nolen at (860) 291-7179, or visit: http://bit.ly/EastHartfordLISTForum2016. This year will mark the 25th anniversary of Pride in Manchester week, which celebrates the town’s past, present, and future with art, history, and music. Pride in Manchester events began on Thursday, June 2, and will continue through Saturday, June 11. To view the full list of Pride in Manchester events, click here. On Thursday, June 9, there will be an Alumni Art exhibit opening at the Public Library, located at 1550 Sullivan Ave., at 6 p.m. I invite residents to visit the exhibit to take a look at the artwork completed by their fellow residents. The state's public community colleges and several manufacturers have joined together to launch a "300 Jobs in 300 Days" campaign to enroll and graduate a minimum of 300 students beginning in the upcoming fall 2016 semester. Manufacturing jobs in the U.S. have shown growth since 2010. This is a smart program that will help Connecticut’s expanding manufacturers find skilled labor. The goal is to pair graduates from community college manufacturing programs with available in-state jobs identified by the manufacturers. The research arm of United Technologies Corp. has developed a fuel tank made of a special composite material that could help get more natural gas vehicles on the road and reduce greenhouse gas emissions. Thanks to United Technology’s research arm, natural gas vehicles could become much more practical to manufacture due to their innovative fuel tank design. To read more about this technology, click here. Good news for Connecticut’s business owners and the state as a whole! A new survey of Connecticut Business & Industry Association members finds almost half expect business conditions to remain stable, while almost a third anticipate improvement over the next three months. Transitional programs like Project Search help adults with intellectual and developmental disabilities become more independent by training them for careers. Soon Project SEARCH will be wrapping up their first successful year. Office of Policy and Management: Long-Term Care Planning Committee, LOB 1A, 10 a.m.
Commission on Children: DOE School Climate, Capitol Room 310, 8 a.m.
CHRO Monthly Commission Meeting, LOB 1A, 2 p.m.
Commission on Children: DOE School Climate, 310, 8 a.m.
Special Olympics of CT Torch Run, CAPGRD, 4 p.m.